Master Fabricio started training under Grandmaster Osvaldo at the age of three and received his Black bet at the age of 20. A former 6 times Brazilian Champion, twice awarded the most technical fighter by Grandmaster Helio Gracie which in those times was regarded as the World BJJ Championships. Master Fabricio has been a coach and instructor to Stephen Kamphuis in Brazil since 2003, awarding Coach Stephen his Black Belt in 2004 , and his first degree black belt in 2007, 2nd degree 2010 and third degree in 2012. In 2006, permission was given to Coach Stephen to open the first school to carry the name Fabricio outside of South America. 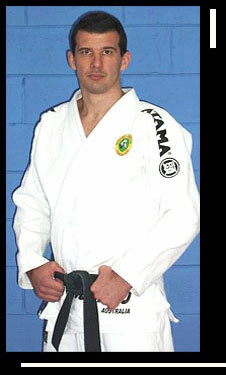 In addition to running his own successful school based in Copacabana Rio for the past 25 years, Master Fabricio has produced many top- level fighters including World Champion Daniel Otero ( 2006 Mundial Black Belt Champion) and others who have medaled in the most important BJJ competitions in the world , such as the Mundials, Copa Mundial, Brasilero, Pan Ams and the World Masters. It is a testament to his dedication and knowledge that he has gathered such a loyal group of students who have been very successful in major competitions and inspire a great atmosphere and camaraderie within the Team. Master Fabricio teaches all aspects of Brazilian Jiu Jitsu, MMA and Vale Tudo and is also a Black belt in Judo. 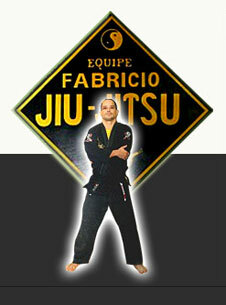 Master Fabrcio can be found in his academy in Rio Brazil teaching the latest techniques to those fortunate to have the opportunity to study and train directly under him. 3rd Degree BJJ Black Belt - 2003 and 2015 World BJJ Masters Champion. 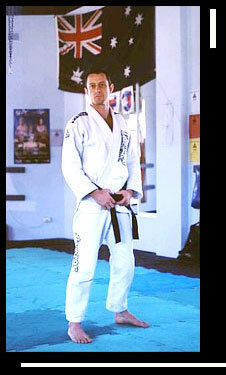 Anthony was the first BJJ instructor based in Sydney, and is one of the true pioneers of the sport in Australia . He has arguably produced some of the best BJJ /MMA fighters in Australia including Anthony Persoh and Elvis Sinosic. Stephen feels very fortunate that it was at Anthony's school where he first started his BJJ training making many friends and having Anthony as his guiding instructor and one of his biggest influences in the sport. Anthony can still be found on the mat teaching both BJJ / MMA / Kickboxing and passing on his infinite knowledge to his students. Our school is very proud to continue our affiliation under Lange - Martial Arts Australia. Anthony is one of Australia’s top martial arts competitors. Anthony has placed 3rd in the World in Brazilian Jiu Jitsu in 2003 and also in 1999, second in the 2000 Pan American and is the current and 7 times Australian Brazilian Jiu-Jitsu Champion. He has also competed 3 times at the ADCC World Championships representing the Oceania region. Anthony is the current Australian Spartan Heavyweight MMA Champion winning the title in July 2004 and has fought twice in the Worlds premiere Mixed Martial Arts event the UFC held in the US. 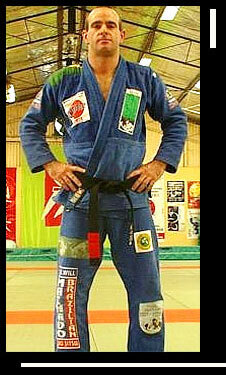 He began his training in Martial Arts in 1994 and in BJJ in 1996. In 1997 Anthony moved to Dallas, Texas, USA to train with Carlos Machado (World BJJ Champion) for two 1/2 years. In August 2003 Carlos Machado presented Anthony Perosh with a black belt in Machado Brazilian Jiu Jitsu. Anthony is a former training Partner and Instructor to Coach Stephen, he has become a regular guest at KMA giving seminars in both BJJ / MMA. Anthony and Elvis Sinosic are the joint Head instructors at Sinosic Perosh Martial Arts (SPMA) which is one of Australia's premiere martial arts schools and is based in Sydney. We look forward to seeing more of Anthony in the near future, and thank him for the support he gives our school. Taekwondo & Black belt in Universal Combat Academies Mixed Martial Arts System. A traditional Black belt instructor, and a hard man turned to BJJ in 1995. Training partner to and good friend to Elvis Sinosic, Anthony Perosh and Stephen Kamphuis and one of the top students from Lange's Martial Arts, North Manly, Simon is now a BJJ Black belt and coach for people living around Castle Hill and Dural which is one of the largest in the area. Although competition has not been a priority Simon is a former Brazilian Jiu-Jitsu state champion and has produced many Champions coming from his Gym. Simon received his BJJ Black Belt from Anthony Lange in December 2007.